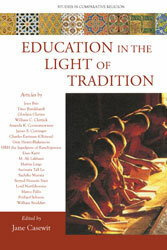 The newest edition is titled Education in the Light of Tradition, and it is now available. Edited by author, editor, and translator Jane Casewit, it examines many aspects of traditional education, as well as how it contrasts with modern educational concepts and practices. The traditions examined are extremely varied, and they include Native American, Hinduism, Islam, Buddhist, African, Christian, and more. Authors of the essays include Ananda K. Coomaraswamy, Titus Burckhardt, William Chittick, Lord Northbourne, Joe Medicine Crow and Charles Eastman (Ohiyesa), Martin Lings, James S. Cutsinger, Ghislain Chetan, Jean Biès, the Jagadguru of Kanchipuram, and others. The volume also contains an editorial, book reviews, and notes on the contributors. The contents are organized into four sections: Education and the Human Condition, Education in Traditional Societies, Dilemmas of Modern Education, and Solutions for Education Today. There are 168 pages. Readers can click here to open a new window with more information on the new Studies edition or to purchase it. Winter-Spring 1985 Issue: The Winter-Spring 1985 issue is the last issue of the original Studies in Comparative Religion series to appear. This edition includes articles by Frithjof Schuon, Leo Schaya, William Stoddart, Kurt Almqvist, Jean-Louis Michon, Rama P. Coomaraswamy, James Cowan, Clara Inés Perry, Michael Negus, Catherine Perry, Bruno de Jesse, and by "Verax" (a nom de plume). There is also an excerpt from The Golden Fountain, by Lilian Stavely. Summer-Autumn 1984 Issue: featured authors include: René Guénon, Ananda K. Coomaraswamy, Frithjof Schuon, Guru Gampopa, Martin Lings, Rama P. Coomaraswamy, T.A. Perry, Leo Schaya, and the Rev. Ian Herring. Winter-Spring 1984 Issue: This special issue came out shortly after the death of Titus Burckhardt, and many of the articles celebrate his life and contributions to Traditional studies. Contributors include Titus Burckhardt (excerpts from his writings), Frithjof Schuon, René Guénon, Martin Lings, Whitall N. Perry, Seyyed Hossein Nasr, Jean-Louis Michon, and Rama P. Coomaraswamy. Summer-Autumn 1983 Issue - featured authors include: Lord Northbourne, Frithjof Schuon, Lilian Staveley, René Guénon, Jean Hani, Ananda K. Coomaraswamy, Seyyed Hossein Nasr, Kurt Almqvist, and Gai Eaton. Winter-Spring 1983 Issue: (Note: The original Studies series was interrupted after the Summer-Autumn 1980 issue, and recommenced with the Winter-Spring 1983 issue.) There are ten articles in the issue, including by Frithjof Schuon (2 articles), Ananda K Coomaraswamy (2 articles), Marco Pallis (2 articles), J Peter Hobson, Lord Northbourne, Douglas Halebi, and Joseph Epes Brown. Summer-Autumn 1980 Issue: This issue features several articles on sacred art and includes authors such as: René Guénon (2 essays), Frithjof Schuon (2 essays), Henry Corbin, Philip Sherrard, Whitall N. Perry, and Luc Benoist. The issue also has translations (with translators' comments) of poems by ‘Umar Ibn al-Farid (translated by Martin Lings) and Ma Fu-ch’u (translated by Peter Hobson).  As can be seen above, we are continuing with our project of posting old issues of Studies on this web site. This takes considerable effort in scanning the old issues, correcting scanning errors, formatting the text into web pages, writing abstracts, and so on. Many thanks to our volunteers who have helped us so much with these tasks.  Since the launch of this website, we have been printing “Commemorative Annual Editions” in sequence, starting with 1967. Each of these editions contains a full year's issues of the journal. The issues that are available are listed under “News” in the bar to the left of this. We hope that this will help avid readers fill in their collections and introduce others to the important traditionalist writing that first appeared in the original Studies issues.  Also, we recently began to post reviews of current books, thus moving towards a revival of the journal in the future. Look for more to come soon. We are asking users of this site to share with us their impressions of the Studies web site. A quick and easy way to do this is to take a brief on-line survey. If you are interested in helping us out in this way, please click here to take the survey, with our thanks. 2007 marked the start of the 26th year for the journal Studies in Comparative Religion, which is now located in Bloomington, Indiana and sponsored by World Wisdom. 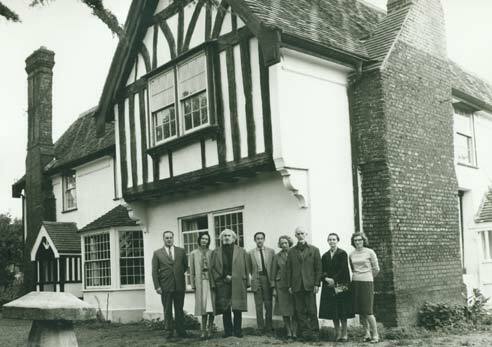 Studies in Comparative Religion was founded in Britain in 1963 by Francis Clive-Ross (1921–1981) and is the first and most comprehensive English-language journal of traditional studies. The journal was published under the name Tomorrow until 1967, when it was changed to its present name. 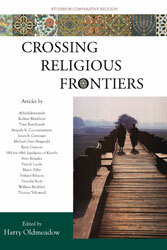 Four quarterly issues per year, containing around 900 articles and book reviews in total, were published during the first 25 years of Studies in Comparative Religion’s existence, before its publication was interrupted in 1987. William Stoddart served as the assistant editor for most of these years. The overall goals of the journal remain as they were originally stated more than forty years ago by F. Clive-Ross. This second phase includes this online journal archive, the bound commemorative annual editions noted in the lefthand bar, and the new bound editions of the journal, of which several editions have already appeared (as noted at the top of this page). 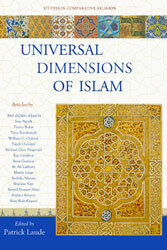 A free on-line archive of all the issues of Studies in Comparative Religion dating back to 1963. All of the approximately 900 articles and book reviews existing articles have been scanned but proofreading is not yet complete for all of the articles. Additional articles will be posted on-line as the proofreading and formatting for the internet is completed.